Will "establish Los Angeles as the centralized hub for the global brand"
Sonic Team's Takashi Iizuka has relocated to North America to create a new "development hub" for Sonic the Hedgehog games, it has been revealed. Iizuka - who acted as producer on many recent Sonic titles before being sidelined by the externally-produced Sonic Boom series - has been tasked with establishing LA as the "centralised hub for the global brand." This isn't the first time that Sega has decided to mix Japanese and North American talent to create Sonic titles - Sonic 2 was created in the US, as was Sonic Adventure 2. It looks like Sega is keen to put the franchise back on track after Sonic Boom - could we see an announcement later this year of a new Sonic outing? Let us know what you think by posting a comment. I'm not trusting any 'news' today. Got him to autograph my copies of Sonic Generations and Sonic Lost World and took a picture with him at the SXSW Gaming Expo. He's a pretty cool guy. Yuji Naka, Roger Craig Smith, Mike Pollock, and Aaron Webber were there too. It was quite an experience. This is actually a legit news story. I saw it on another site before today. He needs to quit the job. Honestly, there's no point of him even working at SEGA. He tried to make an RPG Sonic game, purposefully encouraged Boom to be what it is, made some lousy choices in Lost World and is overall the guy that refuses to make quality games. Sinking so low as to try to get me hyped for Sonic just for an April Fool's prank? Have you no sh-- oh, wait this looks pretty legit. @Sticker It doesn't look like it. @Socar Do you even "get" what he does? So, western made from here on out. Because Sonic Boom was just that good. It's good to see they haven't given up on Sonic yet - I certainly haven't. @Peace-Boy I'd love a new 3D Sonic game announcement at E3. @BornInNorway81 You are too used to sack Mario's duck. Delicious? This has to be a joke, as I am pretty sure Sega wants to put out bad Sonic games comma I mean it is just sick what they have done to Sonic. @Sticker You are too used to sack Link's duck. Taste good? @SamirMalik What did he do? He made horrible spin offs. The only good things he did was Colors and Generations. Other than that, not a whole lot. Sonic is gonna have no blue fur on his legs in the new game. I will remain cautiously optimistic. I refuse to give up hope in the Blue Blur. It hurts to get my hopes up, but I probably will, anyway. I'll rephrase what I said. I think he deserves some chance to do something to make Sonic the best again like Colors/Generations. Just....please do it right Iizuka-San. So Sonic becomes a Western series, in a manner. Interesting! @JJtheTexan Nothing new tbh. Sonic 2 was made in the states after Yuji Naka had a fall out with the Japanese branch over the original and so was Sonic Adventure 2, which is why City Escape looks like San Fransisco. 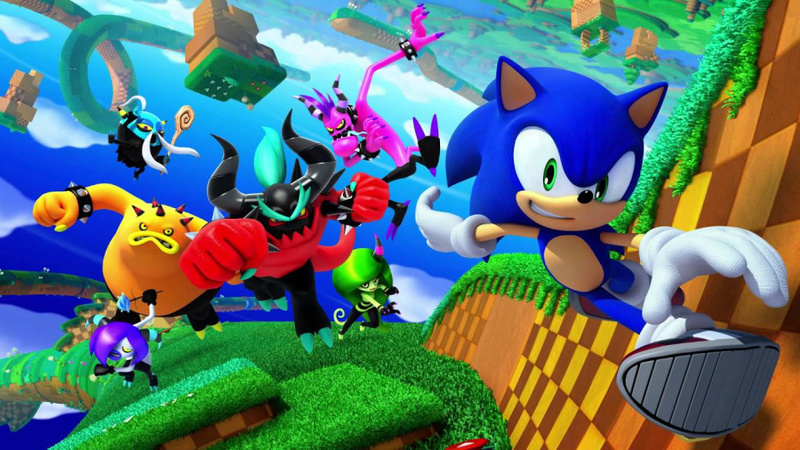 @TruenoGT There was no Sonic game last year, mobile spin offs aside. @Socar And what about Unleashed and Lost World?